Laughs. Tantrums. Jumps. A leg stuck in the crib. I’ve seen it all through my baby monitor camera. It connects to my phone using WiFi, allowing me to check on my little one even when we are out on a date night with the babysitter home. I wanted to find the best WiFi baby monitor for 2018, and my research narrowed the selection down to: Arlo Baby vs YI Dome vs iBaby vs Motorola. These cameras have a huge range of prices, features, and quality. I’m going to compare them head-to-head and find an overall winner at the end. 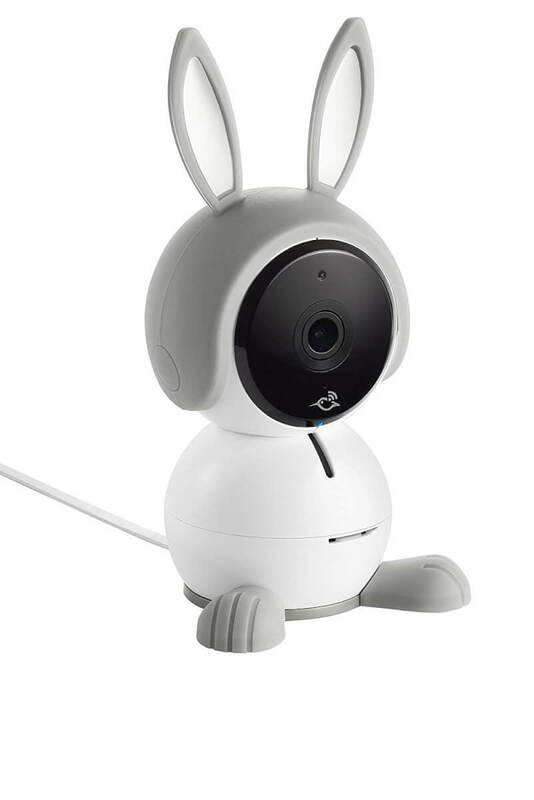 In my home, I use a Nest Cam as a baby monitor, but since that’s more of a generic security camera and not a dedicated baby monitor, I wanted to focus this review on Arlo Baby, Yi Dome, iBaby, and Motorola, which are popular WiFi baby monitors. Since installing my security camera, I used it to keep an eye on my dog and my baby (who is now a toddler ready to escape from her crib). I can tell you with certainty that having a WiFi baby monitor makes a mom’s life much easier. Instead of tip-toeing into the room to check on your little one, you can just take a quick look at the baby monitor. You can also receive alerts for noise or motion if you set it up that way. It’s amazing what a little peace of mind can do for a new mom. When you hear crying, you can check if it’s one of those little bad dream cries, or if they are standing up and need your comfort to fall back asleep. There have been phases when I used the camera multiple times a day, which is why you obviously want to choose a user-friendly and high quality camera. While some baby monitors are an instant hit with little ones, others have their issues. Read on to find out which is our favorite. First, each of these baby monitors uses WiFi to stream the video to a smartphone app. While other video monitors only stream video to a small screen, we wanted to focus on WiFi baby monitors for this comparison. Viewing the baby on your phone’s app is nice for parents who work away from home or want to check on the baby during date night. Video monitors without WiFi don’t offer these features, which is why we left them out of this review entirely. 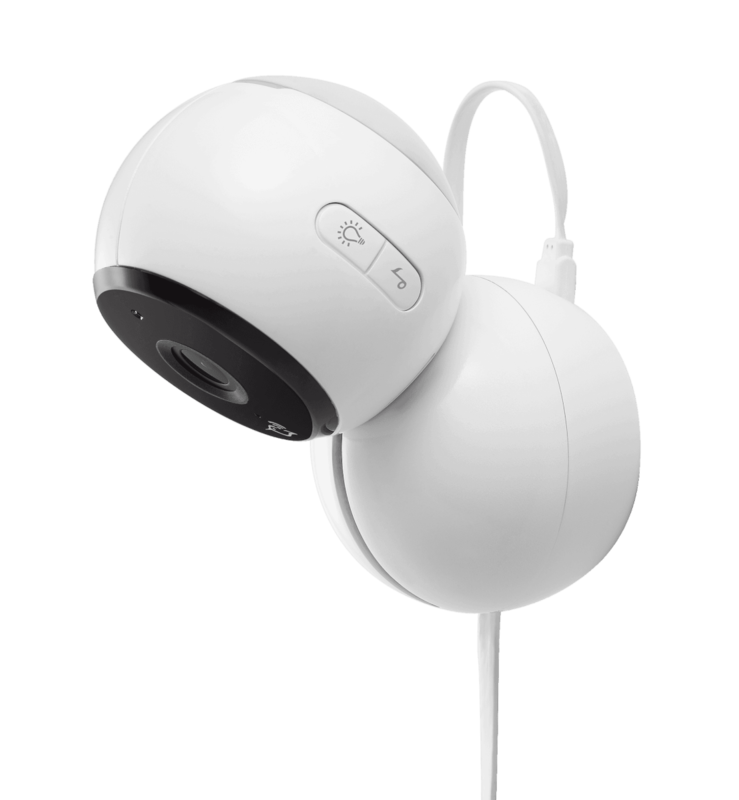 2-way audio with built-in speaker and microphone. Anti-noise filter improves audio quality. iBaby is designed with infants in mind and has all of the features needed for one of the best WiFi baby monitors in 2018, including high quality 1080p footage. It can pan and tilt around the room, offers nice 2-way audio, and plays lullabies or messages of your voice to soothe your little one. Comparing Arlo Baby vs iBaby M6S exclusively, if you don’t mind the inability to pan and tilt then Arlo Baby is a good choice. Of course, it can be annoying if the camera is knocked out of place and staring at the wall. Motorola has less features, but if you want a video monitor with a separate screen, it’s a good option since that’s included. Another camera I recently reviewed that has lullabies, a projector, and night light is the Hola Baby monitor. Check out that review for more details. Records on motion, up to 15 second video clip. Can also record manually in the app. 24 hours motion detection subscription starts at $2.99 monthly. No free storage. It’s obvious that the Arlo Baby is the absolute best option when comparing cloud storage. Since you can store the last 7 days of footage for free, it offers lots of space for you to save plenty of clips of your little one or download them to your phone. 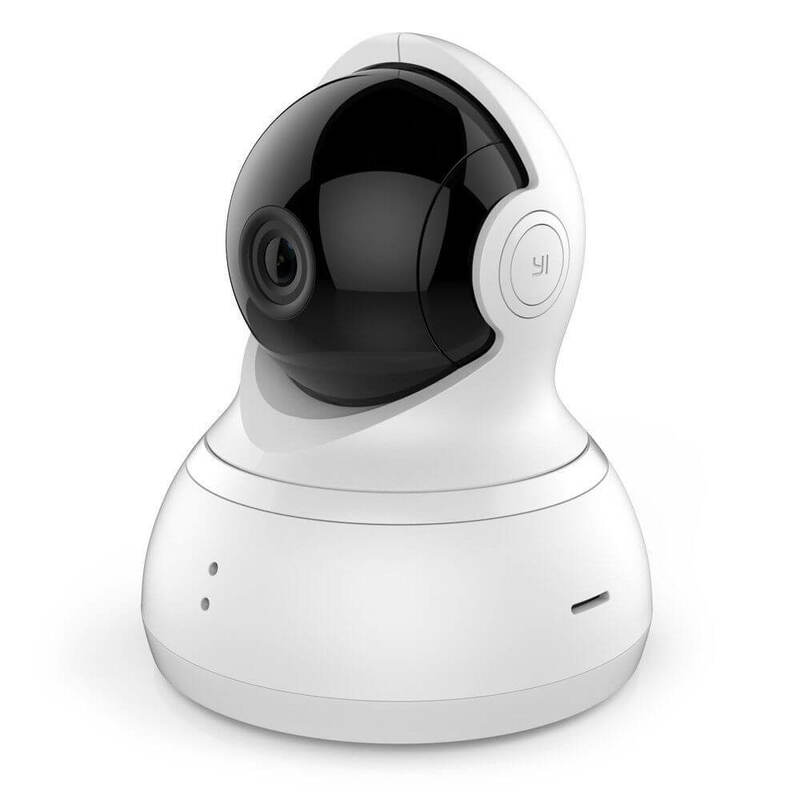 Arlo is also extremely secure as it’s one of the main smart security camera brands and based in the U.S. The Arlo app is well-designed and allows you to control your baby monitor and security cameras in one place. YI Dome baby monitor supports up to 32 GB of local microSD storage, which is a great perk since you can record continuously. This ensures that no action is missed in the lag time before notifications. If you are interested in more security cameras with microSD support, check out our comparison of Vimtag vs Dropcam vs Foscam or our Wyze Cam review. These video monitors can still work as excellent baby monitors. iBaby doesn’t offer amazing storage options, but its free plan with 500 Mb of cloud storage would probably be enough for most parents, so don’t consider this category to be a deal breaker for iBaby M6S. All cameras have notifications that come to your phone through each camera’s compatible app. The differences come into play when looking at what type of alerts are offered. Infant crying alerts. It can detect the sound of a crying baby and alert you. Arlo Baby has the most comprehensive video monitor alerts when looking for the best WiFi baby monitor in 2018. That’s because it can tell the difference between crying and normal baby babbling, so you won’t get constant notifications when your baby is actually fine. Finally, it can also monitor the air quality and temperature, which is an often overlooked, but essential part of keeping your baby safe and comfortable. There are horror stories out there of babies getting sick because the heat or AC in their room went out without the parents knowing. The runner up for this category is the iBaby M6S, which monitors for all of the same stats except for infant crying. It’s another way that Arlo Baby vs iBaby end up being very similar in specs. With all of the stories in the news about WiFi baby monitors getting hacked, security deserves its own category. As a mom myself, the thought of a hacker creeping on my child through their security camera is a serious nightmare. 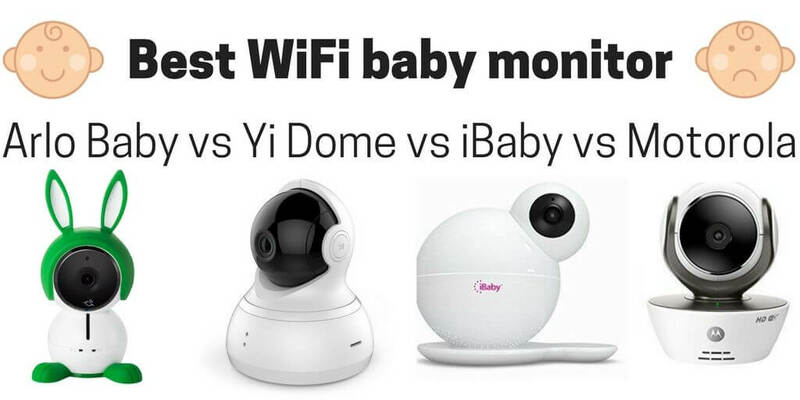 All cameras have different levels of security, so let’s compare Arlo Baby vs YI Dome vs iBaby vs Motorola. The previous M6 version had security vulnerabilities, as exposed in a 2015 study. These vulnerabilities have since been resolved by the updated security. Arlo is known for securing their cameras. While more expensive than the others, Arlo Baby proves the old saying “you get what you pay for” when it comes to security. Furthermore, you really can’t overdo it when it comes to keeping baby monitors private, and Arlo does a great job combining several layers of security. YI Dome is also pretty secure and could work for you. If you’re willing to forgive iBaby for their poor security in the past, then they could be a good option since their security is similar to the Arlo Baby. Of course, no matter which camera you purchase, you’ll want to make sure it has a strong, unique password and that your router is secured with a strong password as well. Make sure the cameras are up-to-date on the latest firmware for a more secure experience. So, the best WiFi baby monitor 2018 is…Arlo Baby! This camera is the new kid on the block, and several customers ran into issues during its initial launch. Arlo pulled the reins on it, removing Arlo Baby from shelves for a little while to fix its issues. The new Arlo Baby has stronger reviews on Amazon, and most of the hardware issues appear to be fixed. Arlo went out of their way to carefully design a baby-friendly camera, with lullabies, air sensors, crying detection, and night vision with dimmer LED lights. I also like the battery that lasts for a few hours, making the camera flexible to move around your home. 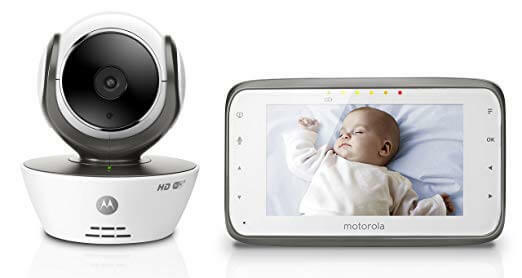 The camera is amazing as an all-in-one baby monitor that solves a lot of the hardware and software issues in competitor baby monitors. 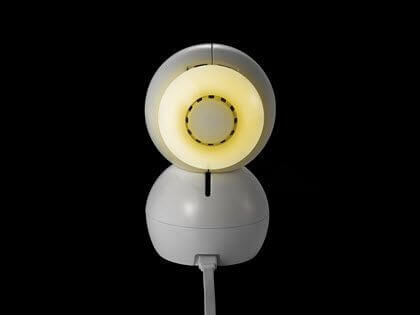 Finally, one feature we didn’t mention above is that Arlo Baby actually has a multi-color night light built into its back. You can adjust the brightness and colors of the light from within the app, and even set it on a timer. By putting a timer on the light, you can put your baby to bed with a night light and turn it off after they go to sleep, without sneaking back into their room. Unfortunately, at around $200, it’s no question that Arlo Baby is easily the most expensive of these baby monitors. If you are looking for a budget option, other baby monitors in this comparison are still good. Each one has some redeeming qualities. 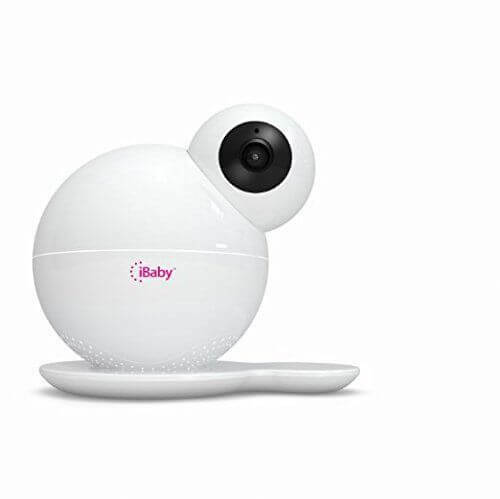 iBaby (typically ~$160) swivels around the room, plays lullabies and has clear 1080p video quality. Arlo Baby vs iBaby is a close comparison since both have strong hardware and software. Motorola (typically $140) has strong notifications. 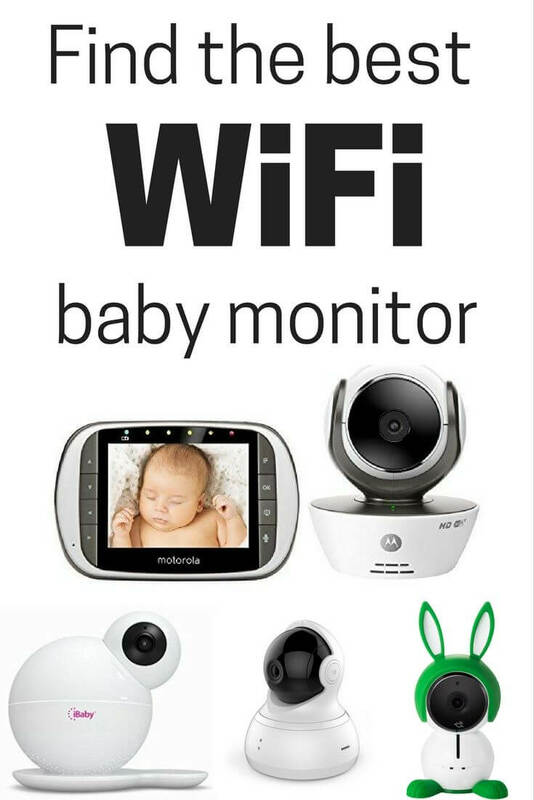 Its included video monitor screen can help you keep an eye on your baby even if a smartphone isn’t around or the babysitter doesn’t have a phone. 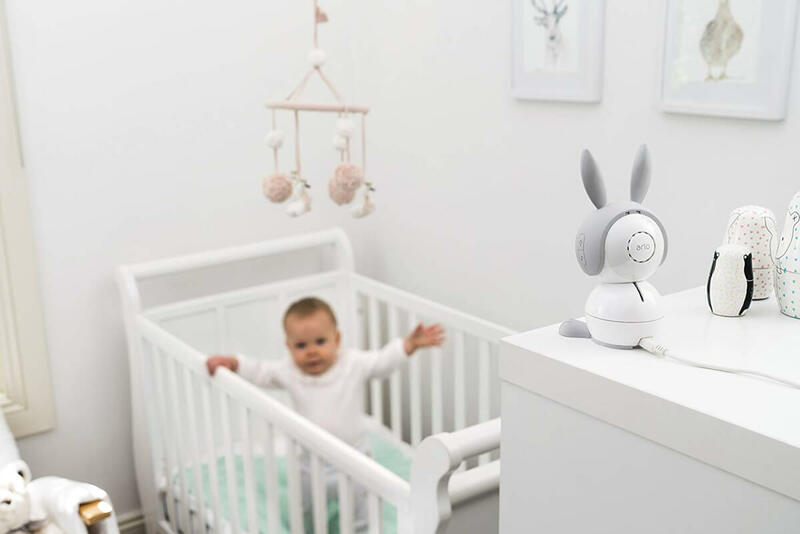 But when you combine all of the categories (especially security, which is crucial for parents), Arlo Baby is the winner and the best WiFi baby monitor for 2018. While many parents are already using inexpensive WiFi cameras instead of baby monitors, Arlo Baby is combining the best of both to make it easy to watch your little one. I mean, how can you say no to those cute cat, bunny, and dog ears? The grey bunny ears are included, but you can purchase dog, cat, or green bunny ears as additional accessories from Amazon for around $20 each. Which is your favorite WiFi baby monitor? Let us know in the comments below! Note that pricing above is an estimate. For the latest prices, head to Amazon. Where can you buy the 7” optional screen for Arlo Baby?